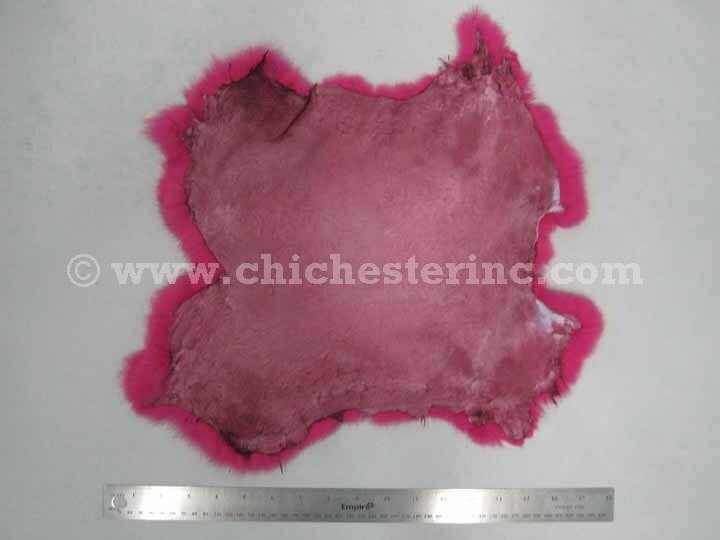 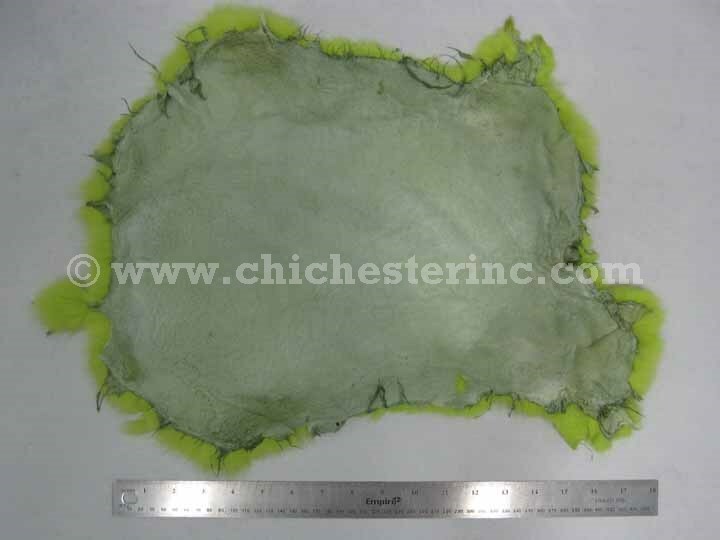 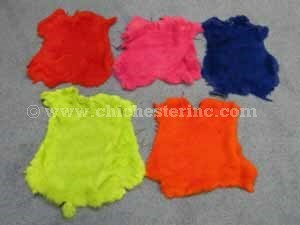 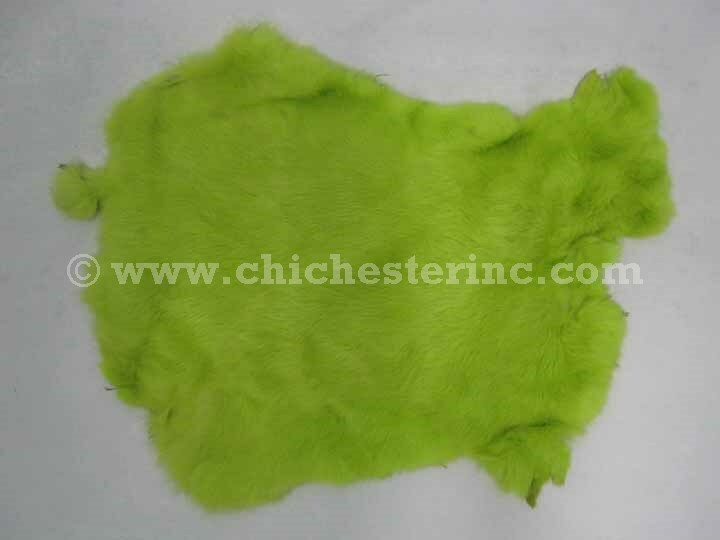 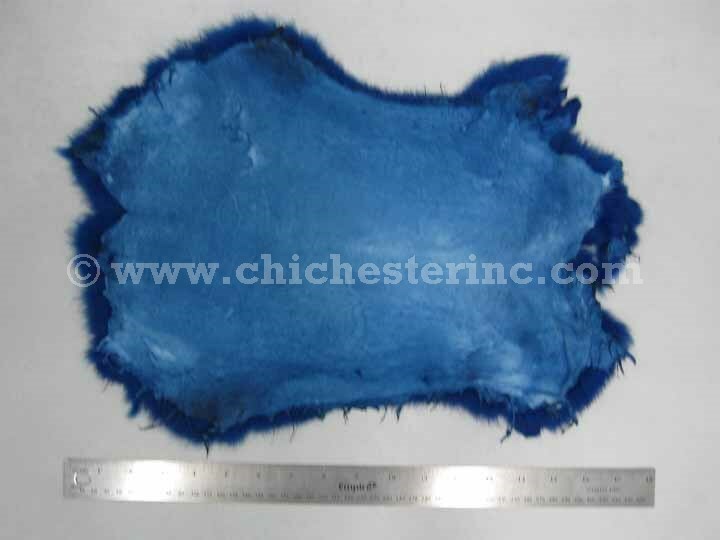 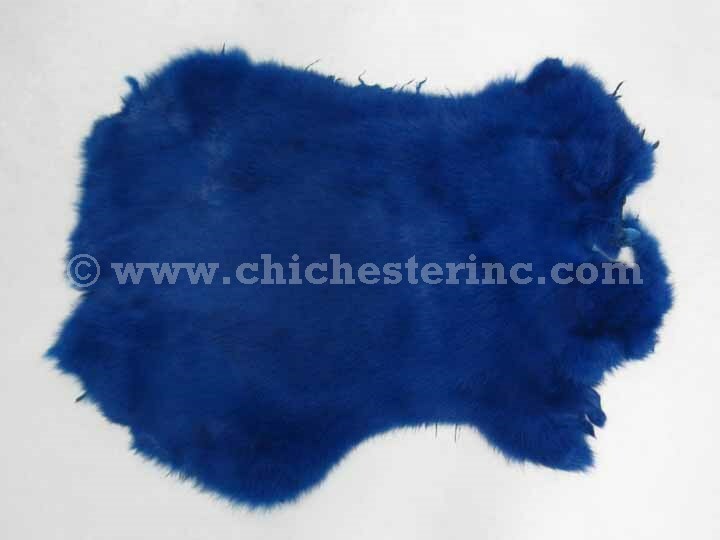 These are dyed trading post grade rabbit skins from Spain. 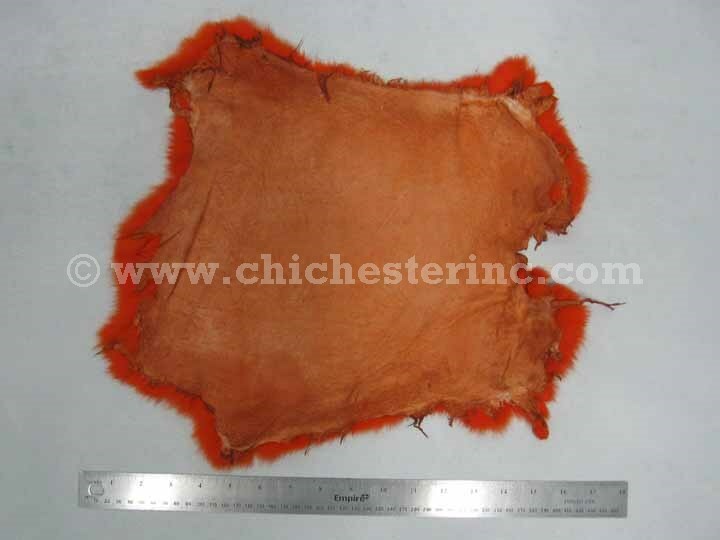 The trading post grade are generally full skins with areas of weak hair coverage or minor defects. 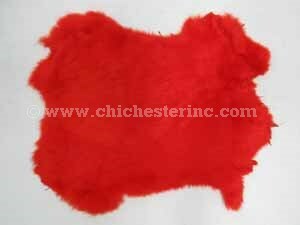 They are suitable for people who want a rabbit skin for whatever purpose and do not know or care about the quality of the hair. 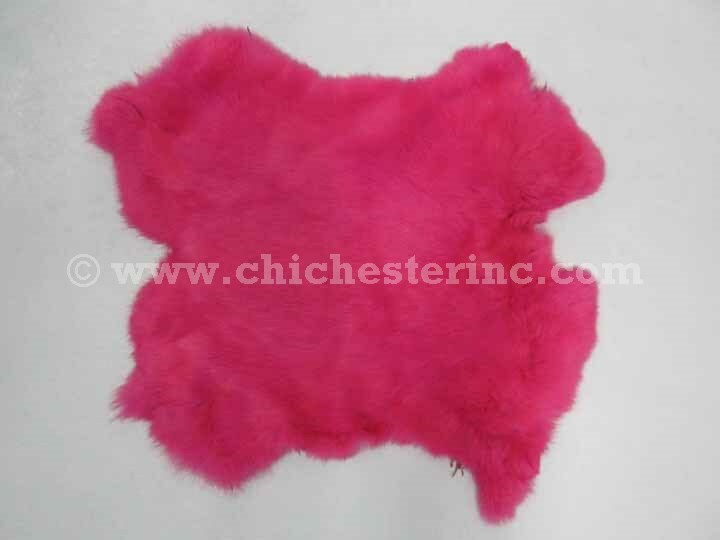 They are also suitable for craft projects, especially for ones using small pieces of rabbit. This is the grade most commonly found in the marketplace. 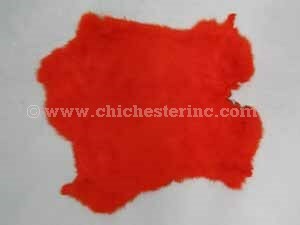 This is also a grade that many Boy Scout troops or camps buy. These rabbit skins are chrome tanned. 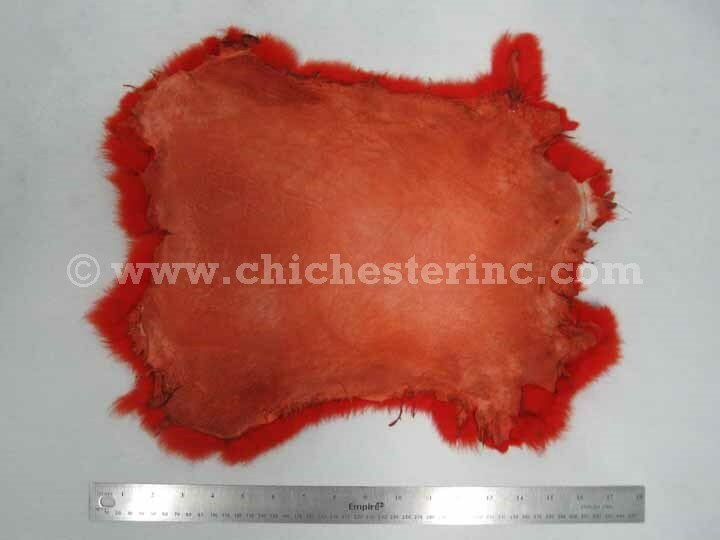 These rabbit skins are not subject to CITES or USFWS controls.